On August 12th, 1989 the Super Eagles defeated Angola 1-0 at the National Stadium Lagos in an AFCON qualifier. The victory was overshadowed by what turned out to be the saddest day in the history of Nigeria football after dynamic midfielder, Samuel Sochukwuma Okwaraji collapsed and died on the field, 10 minutes to the end of the match. 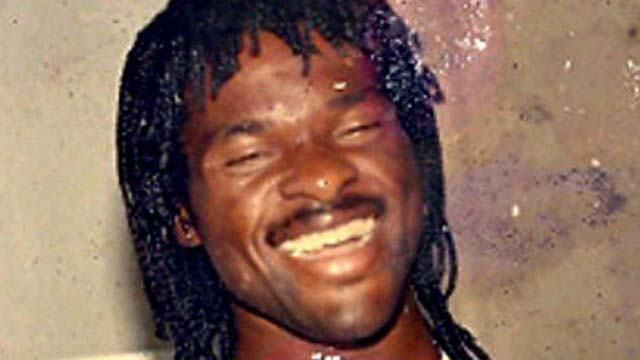 Okwaraji’s commitment to the Nigerian cause was exemplery as he was one player who never demanded for refunds for his numerous flights to Nigeria each time he was called for national duties. And former British and Commonwealth Lightheavyweight boxing champion, Peter Oboh has charged sports administrators in the country not to forget Nigeria’s past heroes, while admonishing current sportsmen and women to emulate former stars like the late Okwaraji who sacrificed their all for their fatherland.